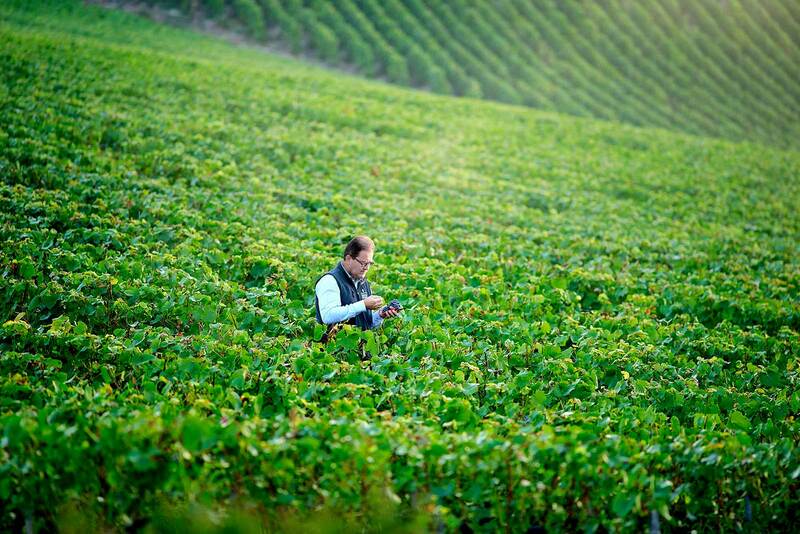 When the mysteries of wine are discussed, terroir usually takes center stage. However, I have to admit: blending seems like just as big a mystery to me. I once had the opportunity to blend nascent wines in a winery. The slightest change in percentage would amplify certain traits, and nullify others. All of it felt like it was beyond my control, and it quickly became clear that I needed a better understanding of the chemistry inside each wine — and the reactions therein — to have any shot at producing a drinkable blend, let alone anything worth bottling. In that instance, I was playing with some strong personalities: Grenache, Syrah and Viognier. In Champagne, the cast of characters is more delicate, but by no means less assertive. Even in Blanc de Blanc and 100% Pinot Noir Rosé styles, a skillful chef du cave must navigate a variety of individually fermented wines, often from a variety of plots and vintages, to reach a desired cuvée. That part alone is not a mystery. What happens in the bottles after blending is. 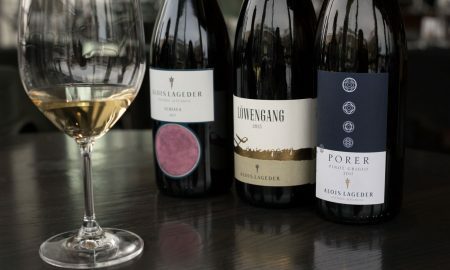 Essentially, the winemaker aims for a target and delivers a wine that is only partially there — a secondary fermentation in the bottle takes care of the rest, adding its own array of aromas, flavors, textures, tones and of course, bubbles. 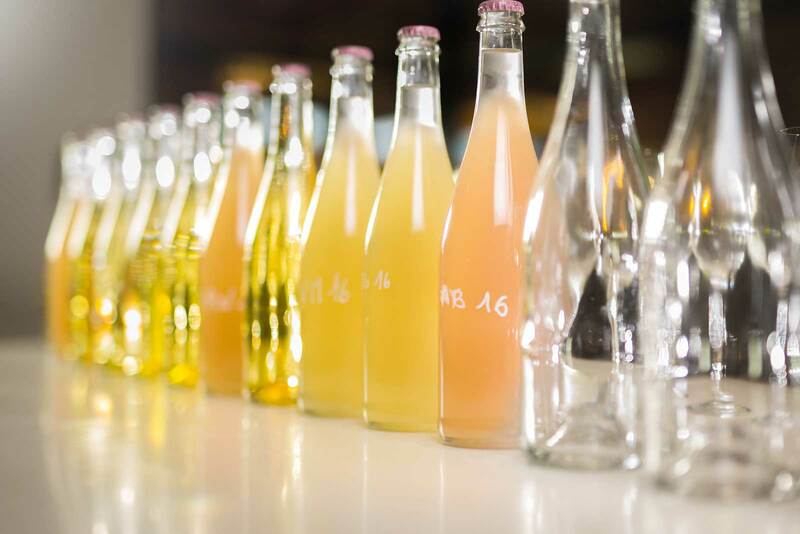 The art of blending is perhaps most laid bare in non-vintage Champagne wines, where a house style is intended to deliver a consistent profile year after year. 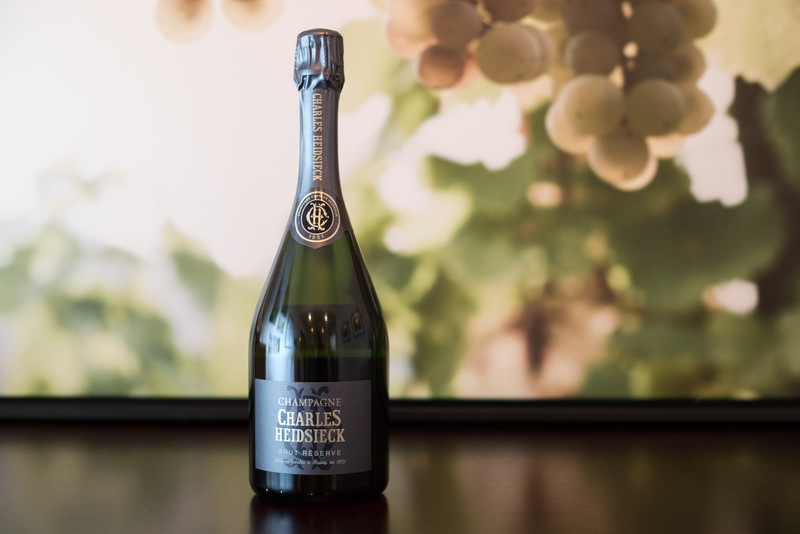 The non-vintage Champagne wines from Charles Heidsieck are astounding for their richness and luscious flavors. The strength in these three Champagne comes for a commitment to reserve wines that go towards each blend. These significantly older vintages lend complexity and a near-bottomless depth to each cuvée. Wine media and influencers are currently fixated on grower Champagne from individual vintages and vineyards. Without a doubt, there is a lot to celebrate in that category. But Charles Heidsieck’s wines seem to argue that this fixation shouldn’t come at the expense of celebrating an excellent non-vintage Champagne from a storied house. Yes, the négociant houses often have more resources and the means to scale-up production (not necessarily an underdog story). 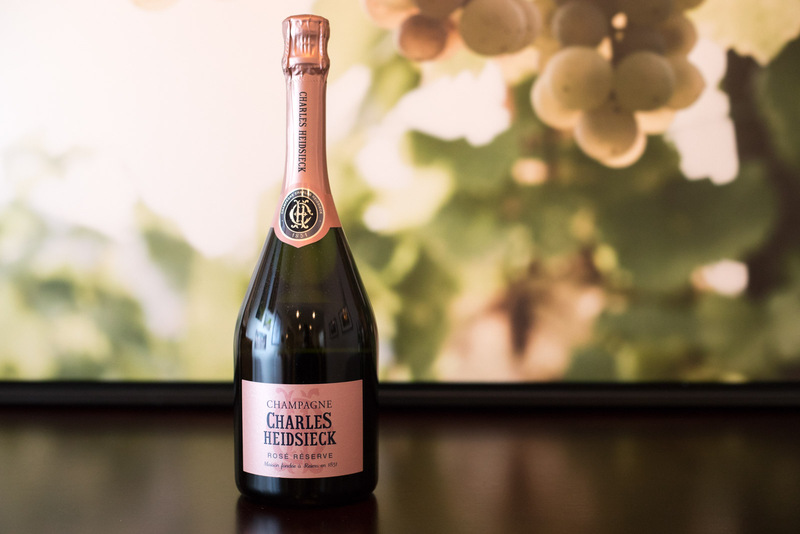 But when the wine is as delicious as the Charles Heidsieck’s Brut Réserve Champagne, there is a strong argument to be made for the capabilities of a solid négociant. Both categories deserve equal consideration. After sampling these three wines from Charles Heidsieck (and justly adding them to the Essential Winemakers of France list) I contacted Cyril Brun — the winery’s cellar master — to ask him a question about each of the wines. His responses follow my tasting notes. The Brut Réserve draws its compelling depth from a 40% share of reserve wines, aging on average 10 years. The reserve portion is 50/50 Pinot Noir and Chardonnay, while the remaining 60% (from the previous year’s vintage) is split in thirds between those two grapes plus Pinot Meunier. I listed this wine as No. 5 in the Top 10 Wines of 2018. Opening a Bottle: What are the challenges for you in managing so many different vintages of reserve wine for this cuvée? Cyril Brun: Being a cellar master sometimes feels like conducting a symphonic orchestra: you have a huge diversity of instruments and players and you have to make sure they play well together. In some cases, some will need to play louder in the absence of another instrument. At the end of the day, the audience has to stand up and applaud. In real life, we depend on mother Nature’s goodwill/bad will in providing the elements we need. We need to be pragmatic and adapt our selections of ingredients every year to get the consistency of the style for our non-vintage blend. In our case, sourcing the grapes from about 50 different locations makes our job easier: we always manage to find balance on a large spectrum of grapes. The other secret is our huge collection of reserve wines, which ensure that I am able to select among a treasure of jewels kept apart from previous harvests. Tasting notes: A superb Champagne with vivid brightness and freshness, which still maintains aged touches, too. A perfect melding of new and old, chuggability and complexity, and possibly the best non-vintage Champagne wine I’ve ever come across. The aromas brought to mind Bosc pears; hay; marzipan one moment, honeycomb the next; and brioche and creme brûlée/rum on the finish. If that sounds sweet, consider it part of the Brut Réserve’s trickery, because the palate is dry, delicious, effervescent and deeply rewarding. Serving suggestion: Definitely in a tulip glass so you can smell those beautiful aromas. My favorite pairing was with a homemade biscotti. The Blanc de Blanc is comprised of 75% recent vintage, and 25% reserve wines with an average age of five years. A majority of the vineyards that produce this wine are in Champagne’s Côte des Blanc. Opening a Bottle: Can you tell me why the Côte des Blancs produces exceptional Chardonnay for this wine? Cyril Brun: The main reason is the chalky soil and the second reason is the East exposure. The third reason is that within a relatively limited amount of villages (five), we get this magic balance. We feel like every component complements each other. Keeping the music metaphor, it is a magic quintet! There is a true synergy: 1+1+1+1+1 = 7. On the other hand, these unique grape resources are not unlimited. The Blanc des Millénaires [a special vintage Blanc de Blanc] is not produced every year (about 2/3 times per decade) and in a small quantity. Tasting notes: The Blanc de Blanc has a freshness and vitality to it that is defined by crisp aromas, active yet delicate beading and a prolonged finish that doesn’t want to let go. Aromas reminded me of lime cream, golden apples, toasted almonds and brioche. Texturally, I found that the wine has a delightful sharpness to it, as if a little bit of salinity comes through from the terroir. Serving suggestion: Anything from a decadent lobster ravioli to a bag of potato chips. The food-friendliness of this wine is supreme, thanks to its harmony and freshness. 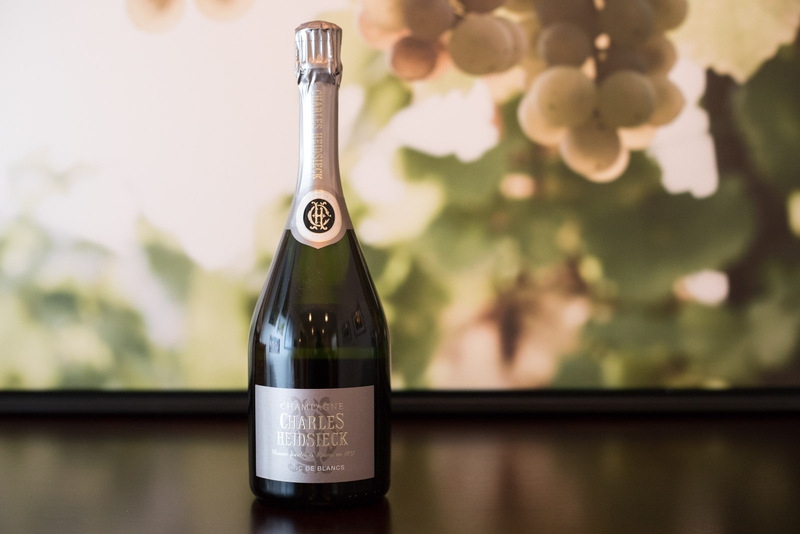 As with all of their non-vintage wines, Charles Heidsieck uses a substantial portion of reserve wines for this cuvée as well, with 20% of the wine’s make-up coming from wines with an average of five years of age. Opening a Bottle: What is the importance of rosé Champagne to the overall world of Champagne wines? Do you think it pairs differently with cuisine or fits a different occasion/mood than (for instance) Blanc de Blancs? Cyril Brun: Rosé champagne has been a growing category in the last 20 years and has reached about 5% of sales, which is in line with Charles Heidsieck’s product mix. Rosé champagne has no gender (although some tend to consider it is more female oriented…) and can appeal to all kind of customers. It offers a very attractive option for customers that are beginners with champagne, as it conveys the beauty of “classic” Champagne combined with the beauty of light and fruity red pinot noir. Thanks to that, it is very versatile when it comes to food pairings, hence its success. The emergence of sushi, tapas, and informal aperitif moods generated huge demand for Rosé Champagne. You can hardly go wrong when choosing a Rosé Champagne. The Blanc de Blanc has a more narrow spectrum of expression (single varietal) so it can be more complex/expensive to optimize through food pairings or require the “Level 2” of champagne pairings skills. Tasting notes: With an inviting copper-carnation color, this rosé Champagne’s potent aromas recall crisp apples, barely ripe strawberries, a light touch of brioche, and a baking spice flourish that strongly suggests cinnamon sticks and clove. Delicately fruity, sprightly on the palate, and delicious on the finish. I thought it got better once the bubbles mellowed a bit. Serving suggestion: Suggesting Champagne for Valentine’s Day is about as cliché as a dozen roses, but here we go: this wine is like an aphrodisiac. Note: These three wines were provided as a sample per my editorial story-pitch request to Charles Heidsieck’s importer, Folio Fine Wine Partners. However, even with that pitch, I did not guarantee coverage. Learn more about my editorial policy.